There seem to be many online businesses and startups which have collapsed. The reason why online businesses or startups collapse might be as simple as running out of money or it might even be a complex financial fraud. 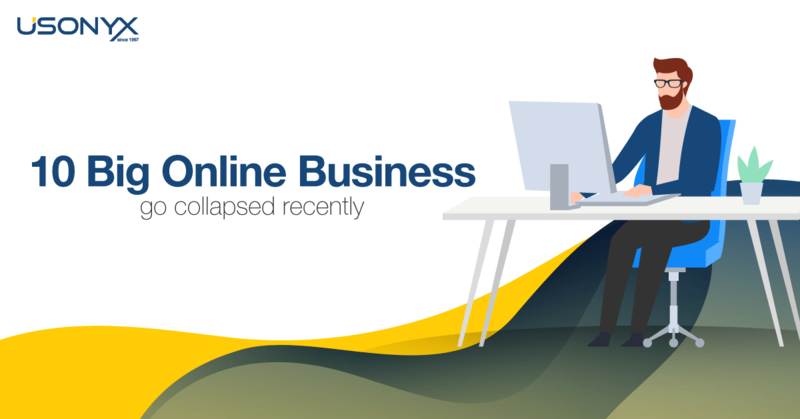 In this report, we have mentioned 10 big online businesses which got collapsed recently even after being well-funded. The reasons for the failure of these companies vary, but some of them have few common characteristics, like generation of unsustainable revenue, poor combination of market and product, running out of money, and their competitors winning over them. DEFY media, an American company for digital media used to produce “original” online content. The content was aimed at the age groups of 12-34. It was founded in 1996 as Alloy Online. In 2013 the company underwent a merger with another company called Break Media. The CEO of the company was Matthew C Diamond. A funding of $100 M was disclosed by the company. According to the company, “market conditions” had gotten in their way of making their mission a success. The assets of the company were frozen by its creditors, after which, the company finally ceased operations on 6th November, 2018. Guvera was an Australian company for online music and other entertainment streaming. It was established in 2008, and it had raised $185 million privately. In 2017, the Australian Securities Exchange blocked its $100 million initial public offering. In the regions where Guvera was available, the company had agreements with the music labels, which made the streams free and legal. The company has stopped operations as of May 2017 after its cofounder and largest financial backer walked away from it. ChaCha was a search engine which was human-guided. The answers to your questions were provided free and realtime. They also had a mobile app. The company was founded in 2006 by Scott A. Jones and Brad Bostic. The company was based in Caramel, Indiana in the United States. The word cha originates from Mandarin Chinese meaning “ to search”. The company was shutdown on 12 December, 2016, due to not being able to service its debt which was a result of a heavy decline in it’s advertising revenue. It was a United states based digital media company regarding lifestyle. The content on this platform could be produced by anybody, but it was reviewed by professional editors before publishing them. The CEO of the company was Samir Arora. The company was founded in the year 2003, and till 2015, it’s revenue had grown up to around $100 million. A former executive of the company had said that there was a mismanagement of finances. The expenses of the company had turned out huge. Quixey was a California based company. The company called itself “the search engine for apps”. On this website, people could search for an app by typing in the description of what they were looking for by using their natural language. The CEO of the company was Mark Lazar. The company shutdown due to not being able to repay its debt to a shareholder(e-commerce firm Alibaba). It was shutdown in February 2017. Rdio was an online music streaming service. It offered free and ad-free streaming and subscription. It was running in 85 countries. Rdio was available in the form of a website or an app. You could download music on the Rdio app for offline playback. It was founded on 3rd August, 2010. Anthony Bay was the CEO of the company. Rdio was filed for chapter 11 bankruptcy on 16th November 2015. They had to pay $200 million. OnLive was a California based company for providing cloud based virtualisation technologies. The flagship product of OnLive was its cloud gaming service. It allowed users to Rent computer games or have a demo of them without installing it on their device. Rather than rendering the games locally, they were delivered to the client’s software in the form of a streaming video. This way, if your computer had insufficient hardware for a game you could play that game by renting it on this platform. There were doubts about the software working lag free which were then followed by business troubles which caused them bankruptcy. The patents were sold to Sony Computer Entertainment on 2nd April 2015 and then all OnLive services were discontinued on 30th April 2015. Auctionata was a Berlin based e-commerce, online auction house company which specialised in luxury goods, art, antiques and collectibles. The company was founded in February 2012 by Alexander Zacke and Susanne Zacke. The CEO of the company was Thomas Hesse. Their products included livestream auction and online shopping. With just 120 employees, the company had a revenue of $150 million in 2015. The company had made serious trade violations perpetrated by cofounder Alexander Zacke. Zacke and the board members of Auctionata were accused of illegally bidding on their own auctions. It was finally shut down in 2017. This company was New York based. It allowed its users to view time-shifted or live streams of over-the-air television. Aereo was founded in February 2012. The Supreme Court ruled against Aereo on 25th June 2014 in a case which was brought by several broadcast networks. Aereo was found guilty of copyright infringement. This website was an online marketplace for selling and buying tickets. The tickets could be of any event, music, sporting, or cultural. You could sell tickets on Seatwave at a price specified by you. The company ensured that you got the tickets you ordered by the day of the event, if not, then they would initiate a refund or replacement tickets. It was founded in London in 2006 by Joe Cohen. They shutdown the website on 13th August 2018. These websites were shutdown mainly due to lack of financial management or scams and frauds. Some of them ran out of money, while some were found guilty of doing illegal things. Despite having good funding, they shutdown due to the above mentioned reasons. These websites were among the top 10 online businesses which got collapsed.